We know what pundits say about the iPhone X and we know what Apple says about the iPhone X, but what do a random handful of people who you might run into if you step outside your house say about it? Writing for CNet, Chris Matyszczyk has found a great way to expense lunch, which the Macalope is upset he didn’t think of first. Finally we’ll hear from some real people! What a relief. Well, OK, when we say “real people” these people are real in the sense that they exist, it’s just that none of these people happen to own an iPhone X. Really, are iPhone X owners real? Certainly not according to this article since Matyszczyk wasn’t able to find any. Reduced, of course, thanks to Pope Gregory XIII and his magical calendar. The 4th calendar quarter for 2017 had 13 weeks compared to 14 in 2016. Apple sold 5.9 million iPhones per week in the 4th calendar quarter of 2017 compared to 5.6 million per week in the same quarter in 2016. …but he insisted the iPhone X was outselling all other iPhones. He omitted, though, to offer any actual number for X sales. Numbers we would have believed. But as far was his protestations about Apple selling more iPhone Xs than other models? Well, pull the other one, Tim Cook! Some experts fear the phone simply doesn’t inspire. Tim Cook: no expert on iPhone sales. I thought it wise, then, to go and talk to real people. Just a few streets, though. On deadline. My first illumination came from a server in a really quite fancy restaurant. MANY A FANCY RESTAURANT I HAVE ENJOYED, I ASSURE YOU. He had a first generation Pixel and adored it with a passion that appeared almost unnatural. Real people! Imagine throwing a dart at the Earth, with a population of 7.6 billion, and hitting one of the few million people who bought a first generation Pixel. Matyszczyk should buy a lottery ticket. He does sound like an average Joe, though. 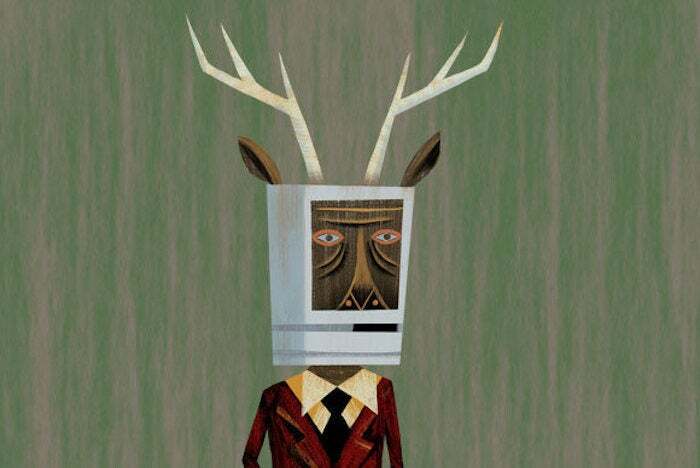 Uh, excuse me, sir, but the Macalope believes you will find that many iPhone owners are not only quite technologically savvy but they are also quite erudite about the various goings on of the day. Now, if you will excuse him, he will return the activity in which he was previously engaged which was loudly eating this bag of Funyuns. Thank you. Good day. Suffice it to say, Matyszczyk talks to a few people—he doesn’t specify how many but he quotes about a half dozen—none of them have an iPhone X and none of them seems to think it’s a big deal. Well, they would certainly know, right?